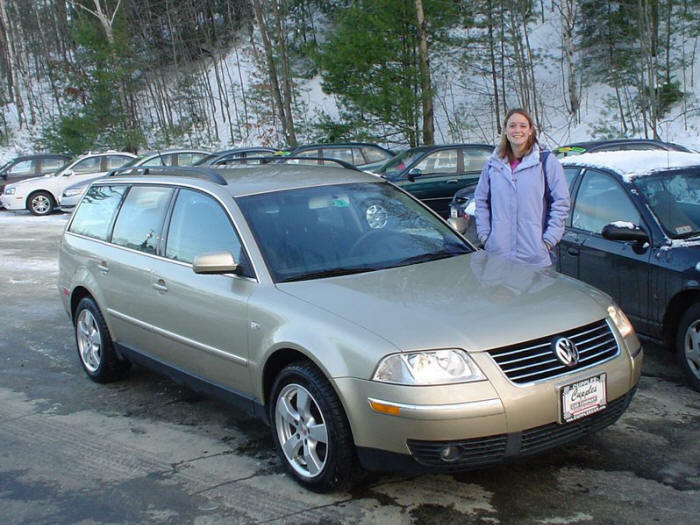 "Mojave Beige" V6 Passat wagon. This one is my girlfriend's car. She loves it. We have 16" Mille Miglia Spider II Alloys for the nice weather and Nokian Hakkapelita snows on the stock rims for winter. 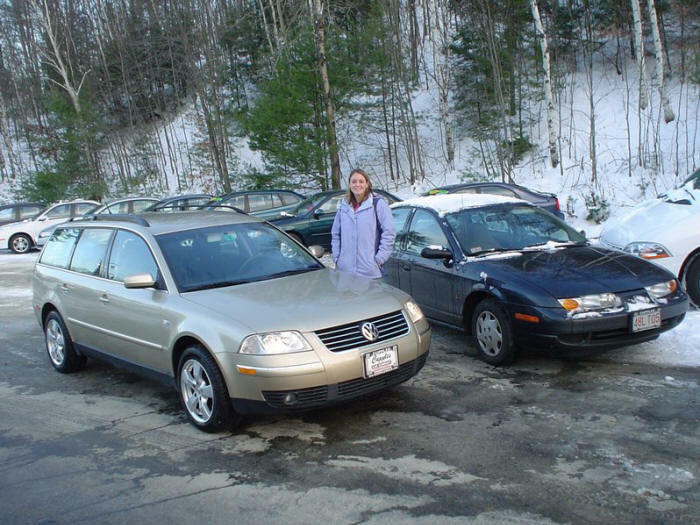 That's her the day traded in her Saturn for the VW lifestyle. Scroll down for more pics, or go back to the main page.